Here are a few quotes from President Trump's constant cheerleading of the American economy in the last several months leading up to next week's midterms. Democrats are anticipating a blue wave during the November midterm elections, but according to President Trump, the "strong" US economy could propel Republicans to victory next week. “History says that whoever’s president always seems to lose the midterm,” Trump said on an Oct. 16 interview with FOX Business’ Trish Regan. President Trump's cheerleading sounds great and certainly helps animal spirits, but a new study warns that more than 25% of American renters are not confident they could cover a $400 emergency. About 18% of homeowners report record low emergency savings. 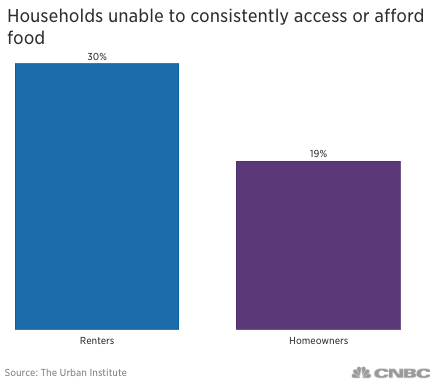 And if you thought that was bad, more than 30% of renters feel insecure about eating, as do 19% of homeowners, the Urban Institute study, a nonpartisan think tank in Washington, reported. The main takeaway from the report: renters are struggling more than homeowners in the "greatest economy ever." To be sure, buying a house has also become harder for many Americans — to do so now costs four times the median household income. The homeownership rate fell to 63% in 2016 – the lowest rate in half a century," said CNBC. 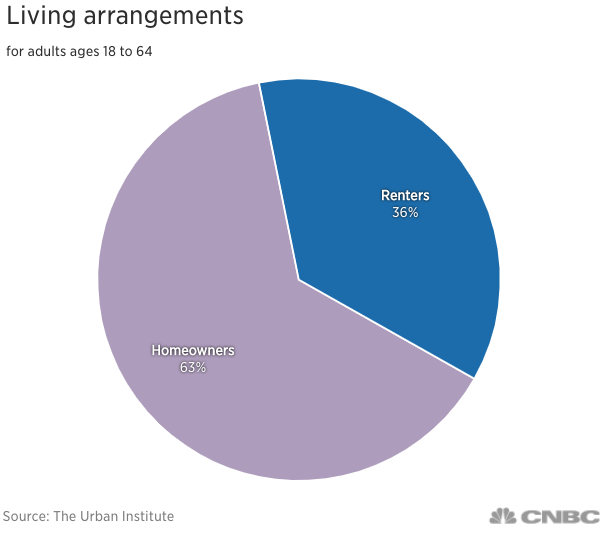 Corianne Scally, a senior research analyst at the Urban Institute and a co-author of the study, told CNBC that "renters seem to be worse off." Scally said the report was derived from its 2017 well-being and basic needs survey, which received about 7,500 responses from people aged 18 to 64. About half of renters in the survey reported financial hardships since President Trump took office, compared with 33% of homeowners. More than 25% of renters in the survey were not confident they could cover a $400 emergency. Around 18% of homeowners reported low emergency savings. Almost 20% of renters saw large and unexpected declines in pay in the past year, compared with 14% of homeowners. More than 12% of renters said they could barely pay rent, compared with 9% of homeowners who warned their mortgage payments were getting too expensive. 15% of renters said they were on the brink of not being able to afford utilities during the last 12 months, while 11% of homeowners said the same. 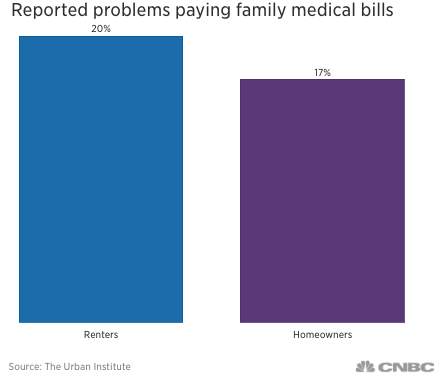 Scally made it clear to CNBC that renters are much worse off than ever before, but it is also clear that some homeowners are feeling the pain as well. Maybe the "greatest economy ever," is not so great? If so, then why is the Trump administration creating smoke and mirrors about the economy? The simple answer: it is all about winning the midterms by any means necessary. As for after the midterms, then into 2019, a global slowdown lingers, that is the reason why the stock market had one of its worst months since the 2008 crash. Trouble is ahead.